The Marine Raiders were elite units established by the United States Marine Corps during World War II to conduct special amphibious light infantry warfare, particularly in landing in rubber boats and operating behind the lines. “Edson’s” Raiders of 1st Marine Raiders Battalion and “Carlson’s” Raiders of 2d Marine Raiders Battalion are said to be the first United States special operations forces to form and see combat in World War II. However, despite the original intent for Raiders to serve in a special operations capacity, most combat operations saw the Raiders employed as conventional infantry. This, combined with the resentment within the rest of the Marine Corps that the Raiders were an “elite force within an elite force”, led to the eventual abandonment of the experiment. Four Raider battalions served operationally but all were disbanded on 8 Jan 1944 when the Corps made the doctrinal decision that the Raiders had out-lived their original mission. The changing nature of the war in the Pacific, with many large-scale amphibious assaults to come against well-defended islands, negated the requirements for small light units that could strike deep into enemy territory. On 1 Feb 1944, the 1st Raider Regiment was redesignated the 4th Marine Regiment, thus assuming the lineage of the regiment that had garrisoned Shanghai in the interwar years and fought so gallantly on Bataan and Corregidor. The 1st 3d and 4th Raider Battalions became respectively the 1st 3d and 2d Battalions of the 4th Marines. The 2d Raider Battalion filled out the regimental weapons company. Personnel in the Raider Training Center transferred to the newly formed 5th Marine Division. Leavened with new men, the 4th Marines went on to earn additional distinctions in the assaults on Guam and Okinawa. At the close of the war, the regiment joined the occupation forces in Japan and participated in the release from POW compounds of the remaining members of the old 4th Marines. As of 2015, the Marine Special Operations Regiment, serving under the United States Marine Corps Forces Special Operations Command (MARSOC), was renamed the Marine Raider Regiment. This change was implemented to better show that modern Marine special operations forces trace their lineage and heritage back to the WWII Raiders. Individual Marines of the Marine Raider Regiment are once again called Marine Raiders. The 2d Marine Special Operations Battalion was activated on 15 May 2006, and is headquartered at Camp Lejeune, N.C. 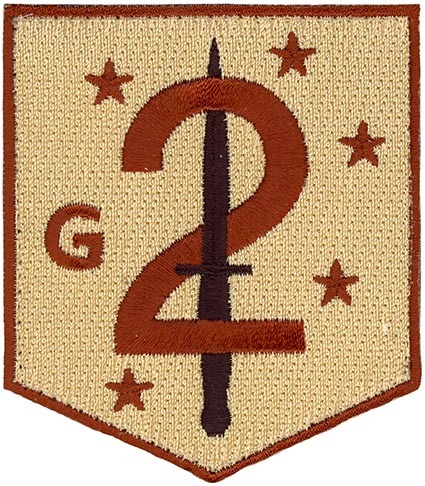 It was re-designated as 2d Marine Raider Battalion on 19 Jun 2015. 2d Marine Raider Battalion is organized, trained and equipped to deploy for worldwide missions as directed by MARSOC. It will consist of five Marine Special Operations Companies (MSOCs) and be task-organized with personnel uniquely skilled in special equipment support, intelligence and fire-support.